A sweeping historical novel that spans Germany, England, and the United States and follows a young couple torn apart by circumstance leading up to World War II—and the family secret that may prove to be the means for survival. Love brought them together. But only time can save them… 1931, Germany. Bookshop owner Max Beissinger meets Hanna Ginsberg, a budding concert violinist, and immediately he feels a powerful chemistry between them. It isn’t long before they fall in love and begin making plans for the future. As their love affair unfolds over the next five years, the climate drastically changes in Germany as Hitler comes to power. Their love is tested with the new landscape and the realities of war, not the least of which is that Hanna is Jewish and Max is not. But unbeknownst to Hanna is the fact that Max has a secret, which causes him to leave for months at a time—a secret that Max is convinced will help him save Hanna if Germany becomes too dangerous for her because of her religion. In 1946, Hanna Ginsberg awakens in a field outside of Berlin. Disoriented and afraid, she has no memory of the past ten years and no idea what has happened to Max. With no information as to Max’s whereabouts—or if he is even still alive—she decides to move to London to live with her sister while she gets her bearings. Even without an orchestra to play in, she throws herself completely into her music to keep alive her lifelong dream of becoming a concert violinist. But the music also serves as a balm to heal her deeply wounded heart and she eventually gets the opening she long hoped for. Even so, as the days, months, and years pass, taking her from London to Paris to Vienna to America, she continues to be haunted by her forgotten past, and the fate of the only man she has ever loved and cannot forget. 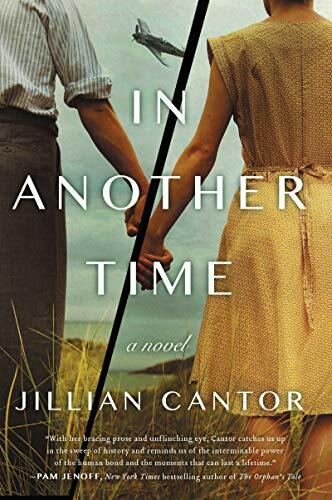 Told in alternating viewpoints—Max in the years leading up to WWII, and Hanna in the ten years after—In Another Time is a beautiful novel about love and survival, passion and music, across time and continents.